The time to find your student accommodation is now. Avoid the additional stress during the exam period by finding your ideal student studio at Unihousing today. 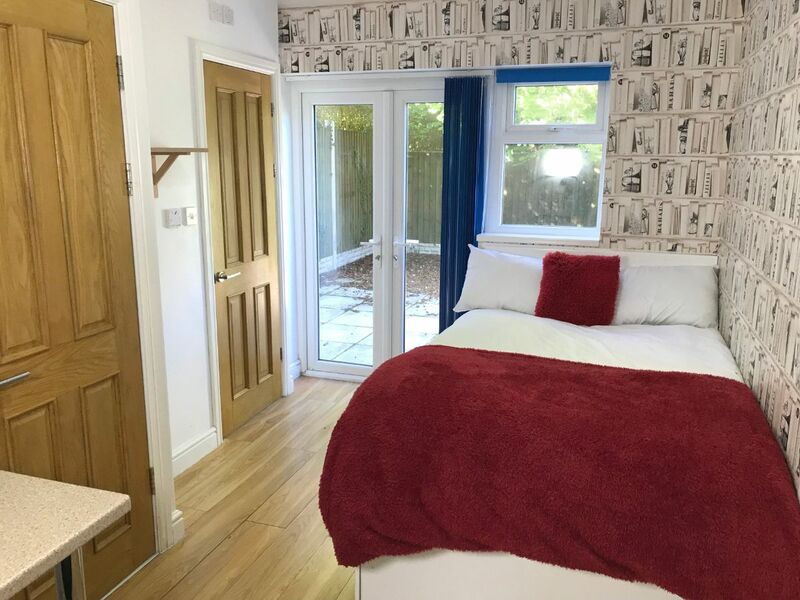 Read on to see some of our new student accommodation which is available for the next academic year in 2019. Dawlish Road sits just off the main Selly Oak high street. 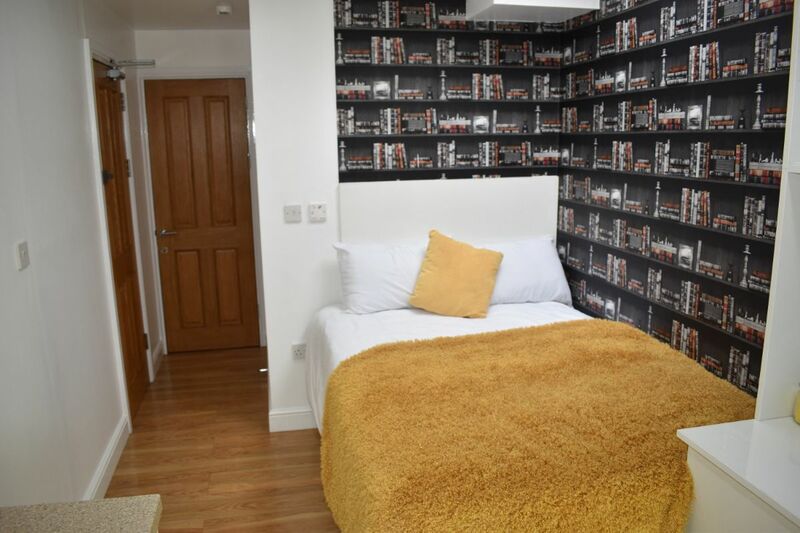 This property has been recently refurbished to provide modern student accommodation. Located to the left of the stair case you will find the secure door to this ground floor front studio. On entering the studio, you will find the main living area. To the left is a tidy desk area and a flat screen TV. There is also storage space including a wardrobe. Accessed via the living area is a WC shower room and kitchen. The kitchen is fully furnished with student essentials, including a washing machine. The kitchen is also only shared with one other apartment. This property is located in the heart of Selly Oak. This property comes fully furnished with a bed, desk space, a flat screen television and kitchen appliances. This student accommodation is laminated throughout, has double glazed windows and central heating. Finally, this property has both internet and utility bills included in the rent. All the communal areas of this property are cleaned by Unihousing staff, excluding the kitchens. As a student living in Selly Oak you are sure to find that you have everything you need during your time at the University of Birmingham. The main high street is only a couple of minutes walk from this studio. The local town centre has several convenience stores. There are also several brilliant places for socialising including restaurants, pubs and clubs in the local area. This studio is situated on the ground floor just past the main staircase. Upon entering you will see a nice open space containing a double bed and a tidy desk area. You will also notice a wall mounted flat screen TV. Turning to your right you will discover a second door, this will lead onto your personal shower and WC facilities. This property comes with a shared kitchen, access off the main hallway and is equipped with cooking appliances for your convenience. This HMO Student studio has been newly built to high standards and has a fresh, modern look. This property contains a large bedroom area with a study desk, a flat screen TV and personal lockable combined shower room and WC. Finally, a shared kitchen area is available for cooking and cleaning. Unihousing regularly cleans all the communal areas in this block. Selly Oak is a great place for students in 2019. Its appealing location next to the University of Birmingham and its abundance of local amenities made it the student hotspot it is today. 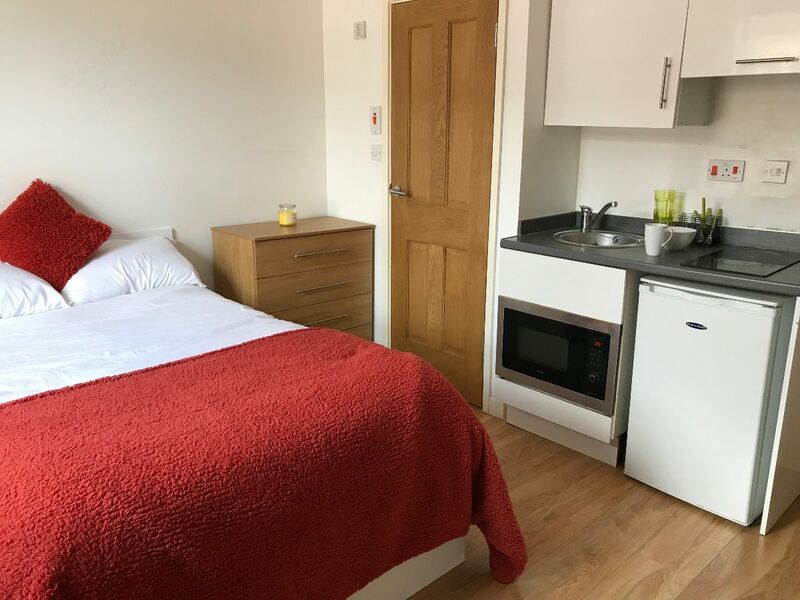 This studio is only a few minutes walk from a handful of great shops, supermarkets and takeaways, all offering a great variety of amazing and useful products to ensure your time at university is as comfortable as it could possibly be. Finally, Selly Oak provides some great places to eat, drink and socialise with friends. It is favourably located in Selly Oak, where you can find a wide variety of restaurants, bars and cafes, as well as more ordinary supermarkets, DIY shops, chippies and pizzerias and, of course, the bustling student nightlife. Communal areas, such as the stairs and landing, are cleaned by Unihousing staff. The rent for this property includes utility bills and internet. You are also provided with a TV, as part of the rent. This student studio is ideally located only a short walk away from the bustling high street of Selly Oak. There you can find everything you need whilst living as a student, including supermarkets, restaurants, bars and cafes. Selly Oak is one of the best places to live whilst studying at the University of Birmingham. In addition to all of the benefits already mentioned above, Selly Oak provides good transport links. There are a number of local bus routes and a train station that can provide access to the city centre and other districts in Birmingham. Birmingham city centre gives you an excellent shopping experience, alongside being great for nights out.